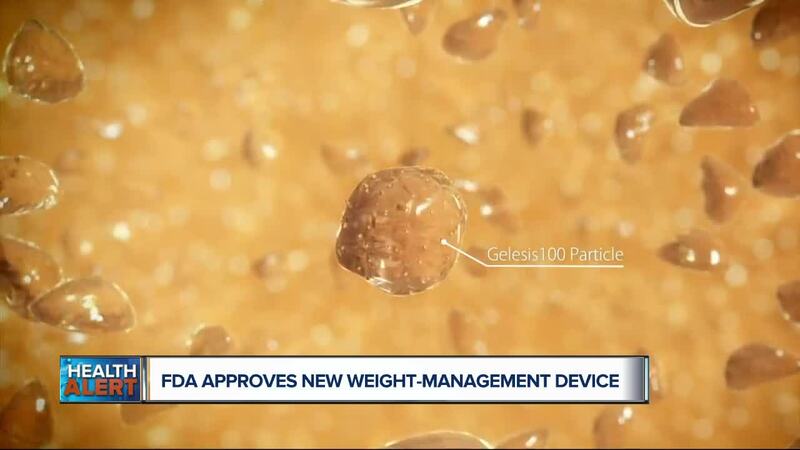 The FDA has cleared a weight-management device that will be available by prescription only. The product is called Plenity and it’s a capsule that you swallow. This new device will be on the market later this year. (WXYZ) — The FDA has cleared a weight-management device that will be available by prescription only. The product is called Plenity and it’s a capsule that you swallow. This new device will be on the market later this year. Question: How does this new product work? What I like about Plenity is that it’s a weight loss management aid, it’s not a drug. Most approved weight-loss drugs work in the brain, they make you feel fuller or they try to decrease your appetite. But Plenity doesn’t go to your brain. It works by filling up roughly a quarter of your stomach. You see the capsules are filled with cellulose and citric acid. They’re hydrogel particles so once you swallow it, these ingredients expand so that you feel fuller. Question: How effective is this – have there been any studies? Well, the company Gelesis who developed this product has presented clinical research. In one study published in the journal Obesity, researchers found Plenity was much superior over a placebo. 436 adults who were overweight or obese completed 6 months of treatment. And what was found, was the folks taking Plenity lost on average 10% of their body weight. Gelesis says that was about 22 pounds and 3.5 inches from waistlines. Question: Who can this be prescribed to and are there any side-effects? Plenity is for adults who have a body mass index between 25 and 40. This novel device was found to be pretty effective for people with prediabetes and elevated fasting blood glucose levels. So how safe is this product? Well, it’s been found to be pretty safe and low-risk. Just like food, the gel passes through the digestive system. The most common side effect is gastrointestinal symptoms. And folks who should avoid this product include pregnant women, anyone with esophageal abnormalities or allergies linked to the product’s contents. Now the FDA does recommend that Plenity be paired with proper eating habits and exercise. Which is a concern of mine. This device should not replace nutrient dense foods, so please make sure that a balanced diet is a priority.